You can now order custom pole banners online! 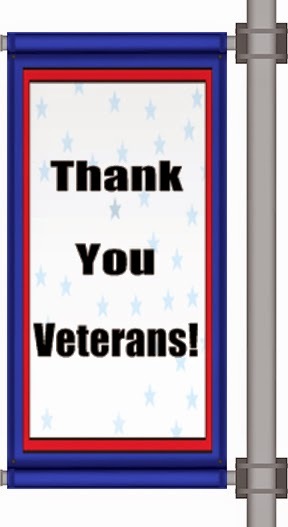 You can order pole banners for Veteran's Day and display them in front of your business, or along the city streets. Here are step by step instructions on how to create a custom pole banners online. Go to our Holiday Pole Banners page to get started. After you select your size and quantity you can start designing your banner. Click on the "Add CLIPART" button. This will open up a pop up of all of our clip art. Scroll down until you see a relevant category and click on it to view the images. The "Patriotic" category has lots of images that are relevant for Veteran's Day. Click on an image to add it to your design. Click on the "Add BCKGND" button. This will open up a pop up of all of our backgrounds. Scroll down until you see a category that you like. 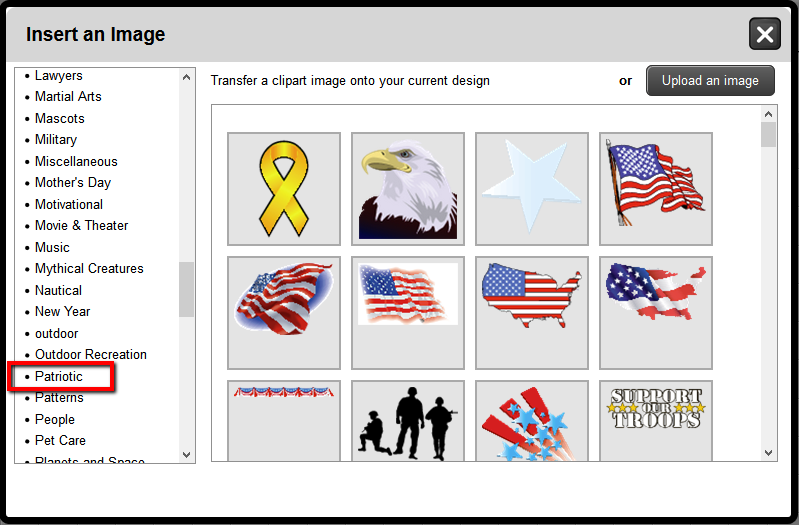 Some categories you might like for Veteran's day include "4th of July Backgrounds" and "Patriotic Backgrounds." 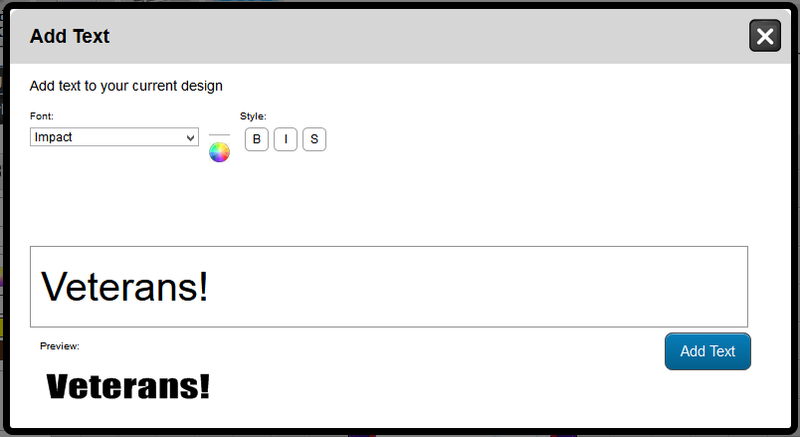 When you find a background you like, click on the background and click the "Insert Background" button to add it to your design. 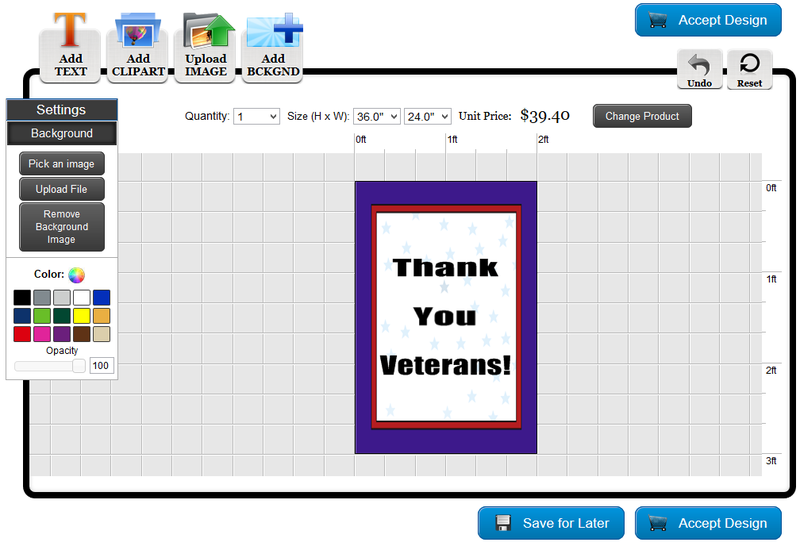 If you would like to order custom Veteran's Day pole banners, visit our holiday pole banners page! We have holiday templates that you can customize in the online designer. You can also upload your own print ready file, or work with one of our graphic designers.